Practically Slim has been many years in the making. This company has been born from all the, years of experience of all the people involved in its creation. 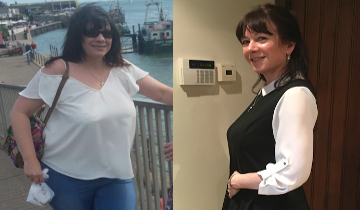 A diverse range of experience from thousands of hours working with clients in the weight loss and weight management industry to many years working with clients in different groups assisting them in making real changes to their lives. At the heart of everything that we do are our clients, and our Coaches are well trained and highly experienced in running weight loss groups and helping people get to their goal. Our clients come from all walks of life but come together with a common goal and that goal is to change their lives. We have been privileged to see thousands of people achieve their dreams. Practically slim will provide support and weight loss solutions to improve the lives of all people affected by obesity enabling them to regain control of their lives and their health. We will educate and support the overweight and obese by giving them the necessary life skills not only to lose weight but to maintain any weight loss, and help them achieve a long term healthier lifestyle. Through integrity, accountability, passion, commitment, simplicity and a focus on success, we will create a company culture where ideas can blossom, people can thrive and success can flourish. These are our shared values that guide us. We value our coaches and our clients and will endeavor to develop their full potential for the benefit of both the company and the individual. We intend to ensure that our priority is our coaches and our customers. Practically Slim offers a variety of weight loss plans together with proven behavioural change group support TA (Transactional Analysis) CBT (Cognitive Behaviour Therapy), and NLP (Neuro-Linguistic Programming) to assist with weight loss and long term weight management. Many people set goals, but often people don’t tie their goals to a personal vision. With the help and support of our coaches you will be encourages to create a wellness vision and then plan goals that support this vision. This will measurably increase your likelihood of achieving long term weight management changes. Goals rarely fail because of a lack of commitment or enthusiasm. They die for lack of a compelling vision with a plan designed to achieve it. With a vision, you imagine an outcome that you then make come to life through the goals you set. A goal that is not tied to some kind of vision will often just “float out there” with a vague sense of importance. We offer you a free psychological profile report (Individual weight report) to help you understand your natural strengths and weaknesses. Then we discuss with you, which of our weight loss plans suits your lifestyle and your personal goals. All of our plans are proven to be fast, safe and easy to follow. We then have a Practical Living plan, which provides you with all the support, skills and tools you need to change your lifestyle forever. Group support is much more effective than trying to do it on your own. Understanding why, not what you eat, is a major part of your journey of discovery. We deal with these issues in group sessions, where you will find you are not alone, and are surrounded by people going through the same. We will help you to find ways of dealing with things in a different way. We do not insist that you attend a group meeting. We support you in any way you choose...it’s your journey, and we will be beside you every step of the way. We offer you a free individual weight report to help you understand your natural strengths and weaknesses. Then we discuss with you, which of our weight loss plans suits your lifestyle and your personal goals. All of our plans are proven to be fast, safe and easy to follow. We then have a Practical Living plan, which provides you with all the support, skills and tools you need to change your lifestyle forever. Our coaches come from a variety of backgrounds but all share a common vision to make a difference in our clients' lives. Working either on a part time basis as a coach or a full time basis as a Regional Manager, the opportunity provides all the benefits of owning your own business without all the associated problems. 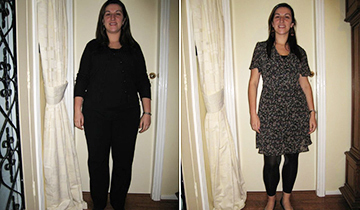 "My Words to describe Practically Slim are that they are professional, friendly, confident and very encouraging. Practically Slim gave me back my self confidence and belief in myself, which enabled me to achieve my goal." "My Practically Slim coach is the most caring, dedicated, encouraging person I know. Even when she's on holiday she never forgets her clients. Always showing so much caring on our paths to a healthier life. ln my opinion, she's the best coach l've ever had and I continue to lose weight because of her support, encouragement and advice." "Thank you Practically Slim for making me feel happier and healthier in myself. Without Practically Slim, I wouldn't have been a size 12 I'm still in shock, but it's a fantastic shock, thank you Practically Slim. I would recommend all my friends to you as the results are outstanding." 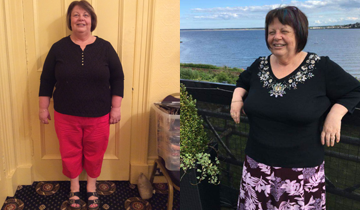 "Practically Slim, thank you so much for giving me my life back! I came to you 6 weeks ago weighing 13 stone 4 pounds, and today I weigh 11 stone 5 pounds. I am absolutely over the moon and it's all down to your great programme that so easily fits into my daily life. I've never once felt hungry and have consistently lost 3 pounds a week on average. Your continued support has kept me going, because I know you're always there if I need you and that really helps. The people in our group are such lovely ladies, which makes the sessions even more enjoyable. 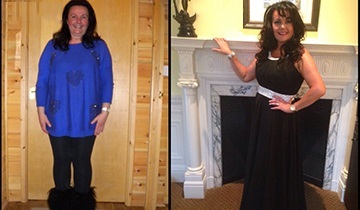 I would recommend anyone to join Practically Slim - it could change your life!" 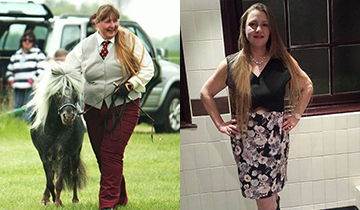 "I have met many amazing people in my life but none more so than my Practically Slim coach. She is a true inspiration and makes me truly believe I can achieve my goal. 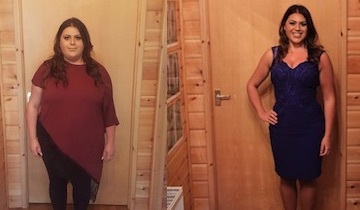 Her support is incredible and I could not imagine having gone on this journey without her"
"I love Practically Slim, the plans are written by someone who really understands weight issues…not some faceless corporate body. The Book of Plans is inspirational"
"To my counsellor at Practically Slim - You're the only one who motivates me to want to lose weight.you make me feel strong because you are 100% dedicated to your classes, and always available to give your support"
"6 months ago I did the best thing I could ever do I joined Practically Slim Limited and began my weight loss journey. Every step of the way my amazing counsellor Heather Newham was there through the good times and the bad you've always supported me." Head Office Get in Touch! Before & After Practically Slim client images.